There was much discussion about solar energy and its relevance to the New Zealand context during 2018 conversations related to Te Mauri Hiko. Currently, the world is facing the prospect of global climate change, while still hoping for advances in technology to slow this progression. What’s encouraging in this context is that the technology to harness the power of the sun is advancing at a rapid rate, and it’s expected this technology will become more accessible as the price of solar technology continues to drop. 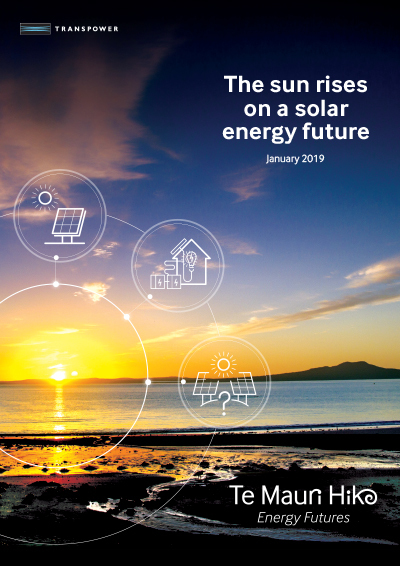 The Sun Rises on a Solar Energy Future is an addendum to Te Mauri Hiko and sits alongside our more technical papers on battery storage. 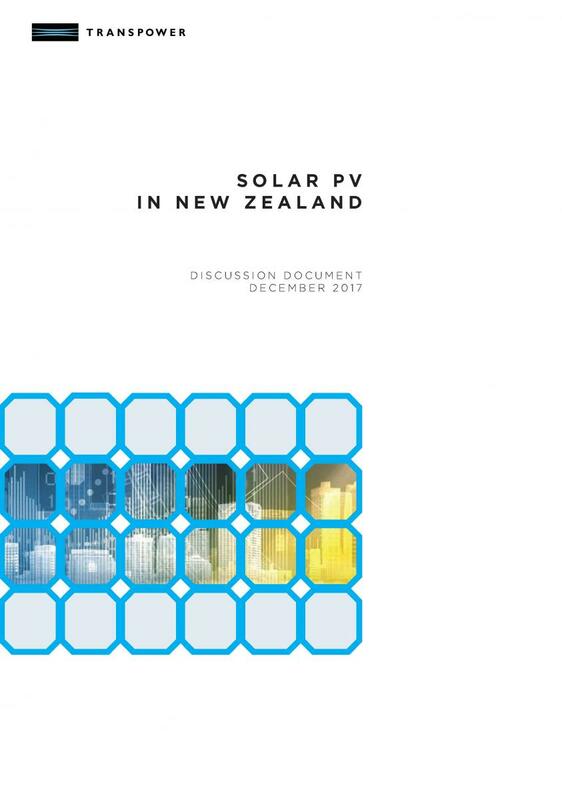 It outlines the challenges and opportunities solar power presents and addresses some of the myths which have emerged about solar in New Zealand. It also takes a closer look at the case for solar, and how people can get involved- especially small businesses and residential homes. We have undertaken a research programme investigating how emerging technologies will impact the power system. We have assessed international observations in the New Zealand context, to ensure we can remain agile and responsive to the evolving energy industry and environment. The 2019 solar report below follows our Battery Storage report as a part of the work we are undertaking in response to the findings in Te Mauri Hiko. The solar report below follows our Battery Storage report as a part of the work we are undertaking in response to the findings in Transmission Tomorrow. Related content: New Zealand potential household solar generation.